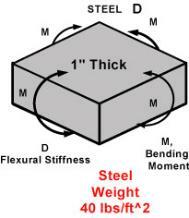 Quasi-isotropic Sandwich panel Flexural Stiffness diagram. 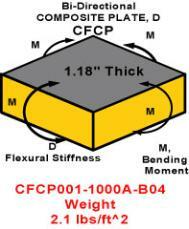 The reader must note that the composite panel stiffnesses are singled valued due to the fixed value of thickness. 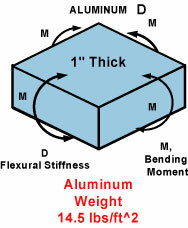 Bi-Directional Sandwich panel Flexural Stiffness diagram. 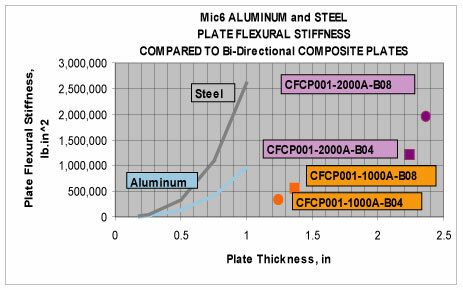 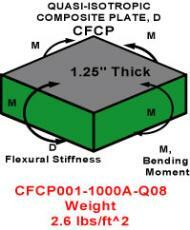 The reader must note that the composite plate stiffnesses are singled valued due to the fixed value of thickness.